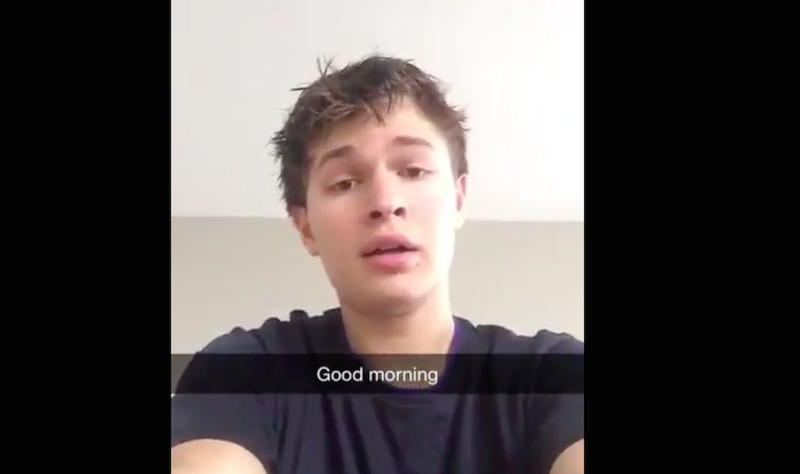 Today, Ansel Elgort—my 21-year-old enemy who I thought had been giving me space—has ruined my life for the second or third time. I don’t...even know what to say? First of all, this was tweeted at 1:19 PM, which is not morning, no one would ever call that the morning. Second of all, is he trying to make me sick with all these different flattering angles?! Has a technically good male singing voice ever caused this much white hot rage and crippling emotional nausea in a single human being? What am I supposed to do with these feelings—just feel them?